I’ve never been to South Africa and the only thing I know about the Afrikaans language is that it is derived from Dutch. 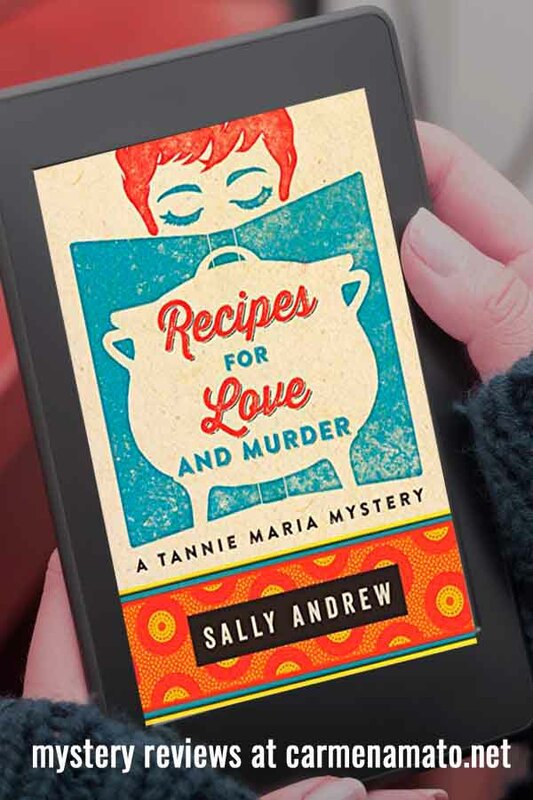 But in the Tannie Maria mysteries, RECIPES FOR LOVE AND MURDER and THE SATANIC MECHANIC, author Sally Andrew weaves a spell to reveal both country and language. Maria van Harten is a widowed foodie living in South Africa’s Klein Karoo region. With an English father and an Afrikaans mother, she straddles two of the many ethnic groups that form South Africa’s history and culture. As with many women of a certain age, she’s referred to as Tannie Maria, or Aunty Maria. Maria lives out of town, with chickens to keep her company as she sits on her stoep (porch). She drives a blue bakkie (truck), and is at peace with the kudu, springbok, and other wildlife that stray into the action. More importantly, she’s either cooking, planning to cook, or thinking up recipes. Tantalizing treats with Afrikaans names, like potjie, meat and vegetables baked in a fire—the South African version of a luau—or dessert dumplings called botterkluitjies, grace nearly every page. 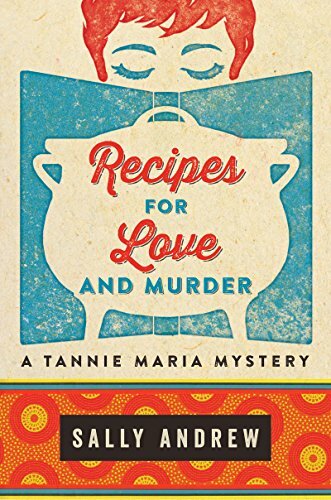 We first meet her in RECIPES FOR LOVE AND MURDER, in which Maria becomes the advice columnist at the Klein Karoo Gazette in the town of Ladismith, answering letters and emails with wisdom and recipes suitable for the lovelorn and aggrieved. A correspondence with a women who seeks advice, then later ends up dead, sends Maria–as well as her boss Hattie and the paper’s single investigative reporter Jessie–into a maze that includes the dead woman’s female lover, a cruel husband, and strange doings at the local grocery store. Maria ends up in perilous danger. Not to mention the risk of losing her heart to a dashing detective with a chestnut moustache who owns a lamb named Kosie. THE SATANIC MECHANIC draws us even more deeply into both the South African bush and Tannie Maria’s backstory. 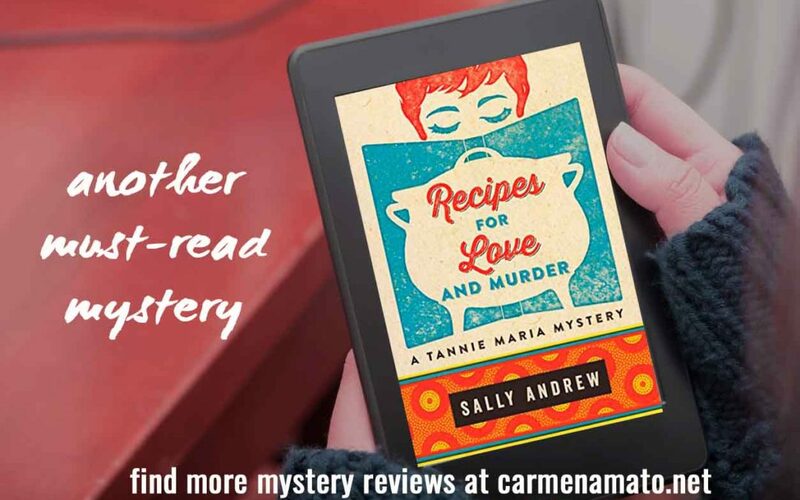 Her late husband was abusive and his memory is getting in the way of Maria’s new romance with detective Henk Kennemayer of the chestnut moustache. As her friend Jessie interviews Slimkat, a Bushman tribal leader celebrating a major lawsuit against a diamond company for the rights to traditional land, Maria joins a PTSD therapy group led by a mechanic who once dabbled in the satanic arts. When Slimkat is fatally poisoned in front of Maria, Henk investigates, but her therapy group becomes an additional focus of attention when a member is killed during an outdoor session. Could the two murders be linked? Is the satanic mechanic a killer as well as a healer? What will Maria bake for the group when it’s her turn to bring dessert? Andrew has a beautiful writing style that effortlessly draws us into this rough, yet exotic setting. South Africa’s troubled past and unsettled society play pivotal roles, but the poetry found in Maria’s Klein Karoo will captivate you. Maria and Henk’s relationship is tender and authentic. Plants, birds, animals, and food become real experiences for us as much as for Maria. The books are peppered with Afrikaans terms, which are not italicized as is usual with a foreign language. The format suggests that English and Afrikaans are so entwined as to be impossible to separate. I love unique mysteries in which the setting is integral to the plot to the extent the story simply could not take place anywhere else. The Tannie Maria novels are perfect examples and I can’t wait for the next. Highly recommended. Note: carmenamato.net uses Amazon Affiliate links.